It’s no secret that I love the Drunken Butcher’s food, but if there’s one thing I love even more it’s beer (as my Untappd profile will testify; 586 distinct beers and counting in under 12 months… eek). 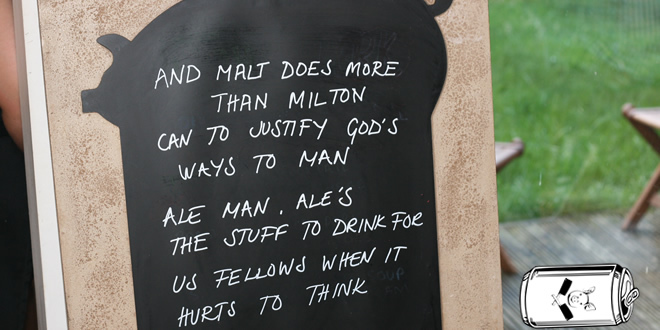 The thought of combining these two loves at his recent ‘Over (and under) A Barrel’ event filled me with pure hoppiness (sorry). 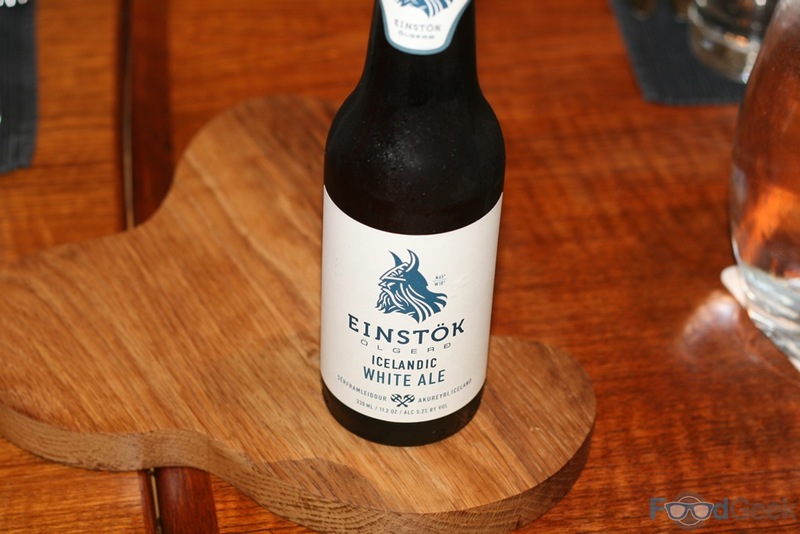 Not only did Iain serve a five course menu of dishes cooked with beer but also offered matched beers to drink, selected by French wine guru Nic Rezzouk. Starting with ‘Einstok White’ shortly after we arrived, an Icelandic ale brewed just 60 miles from the Arctic Circle. I’d enjoyed this Belgian style wheat beer a couple of times previously and it was the perfect way to start here; light and refreshing with bags of interesting flavours including orange and coriander. 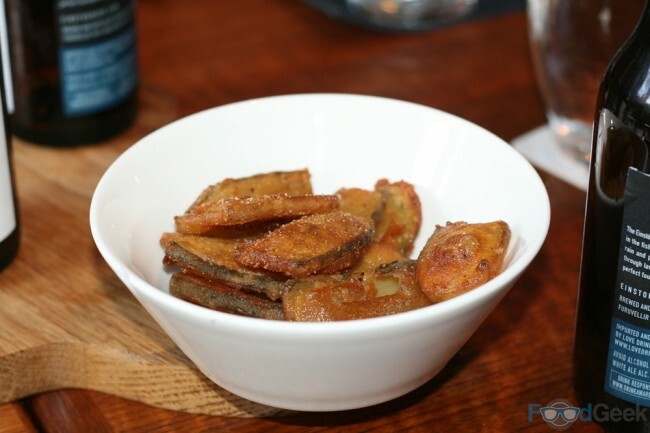 Nothing goes better with beer than salty, fried food; which is exactly what we got in the form of Iain’s stunning ‘Fried Pickles’ and impressive ‘Homemade Crisps’, the latter superbly light and crisp yet not at all greasy. 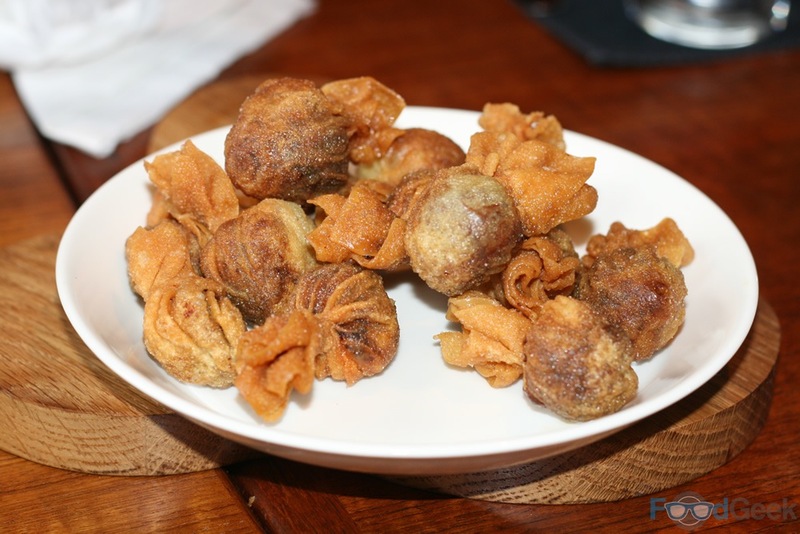 Quickly followed by ‘Steak & Ale Wontons’; dainty parcels filled with braising steak that’d been cooked down with Black Sheep ale! 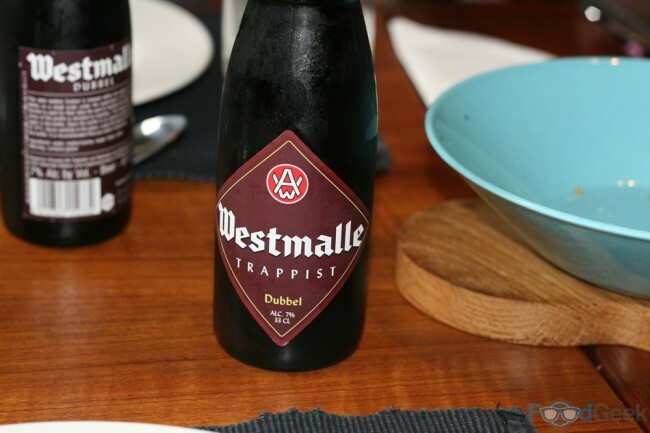 These were paired with Westmalle Dubbel, a traditional Belgian Trappist beer. It’s a quality beer and a perfect match for the meaty wontons. I couldn’t help wondering if it was really wise to be serving a 7% beer so early in the evening though. It’s often said that the cheek is the best part of any animal, cod cheeks are testament to this. 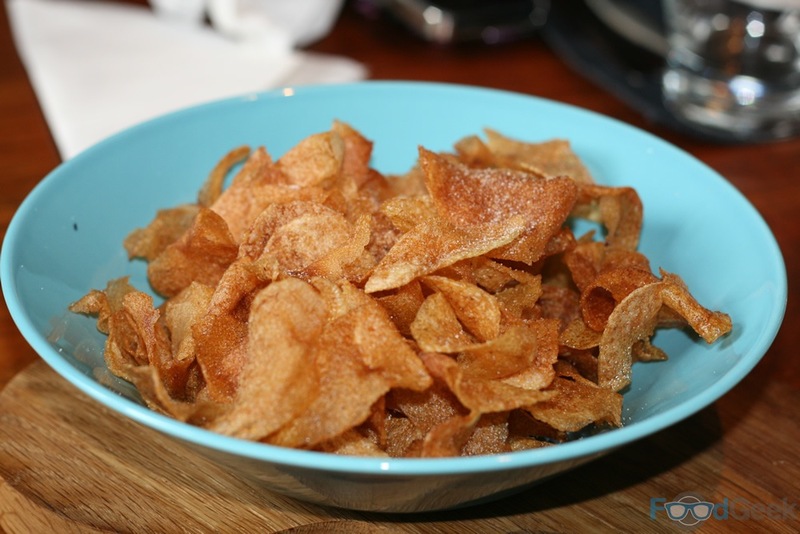 Here the gorgeous nuggets of soft, flaky fish were coated in an excellent beer batter and cooked to perfection, again superbly crisp and not at all greasy. 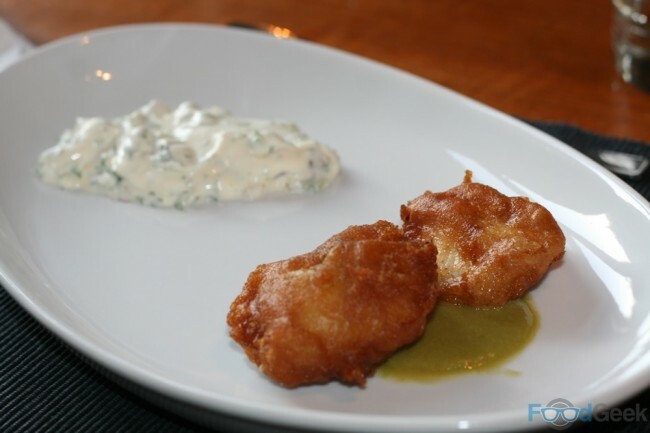 Served with a pea & lovage puree and a homemade tartare sauce with a lovely acidity and sharpness from lemon, pickles & capers that cut through the fat of the batter wonderfully. 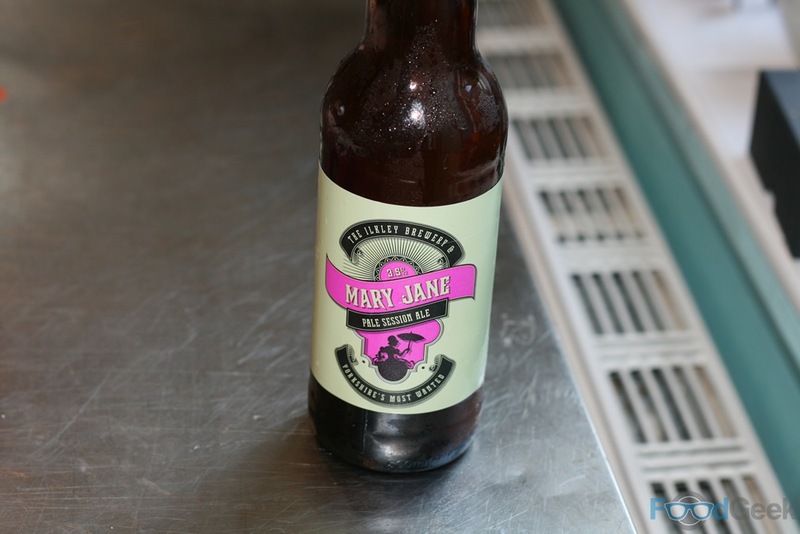 The cod was paired with ‘Mary Jane’ from Yorkshire’s Ilkley Brewery, the refreshing pale ale is packed with citrusy American hops that matched the lemon and pea puree yet was delicate enough not to overpower the subtle flavour of the fish. Another great combination. The main event was ‘Beer Bo Ssam’, a take on traditional Korean dish Pork Bo Ssam. This version saw a pork shoulder braised in Japanese beer Asahi and various spices, then cooled in the braising liquid before being roasted. 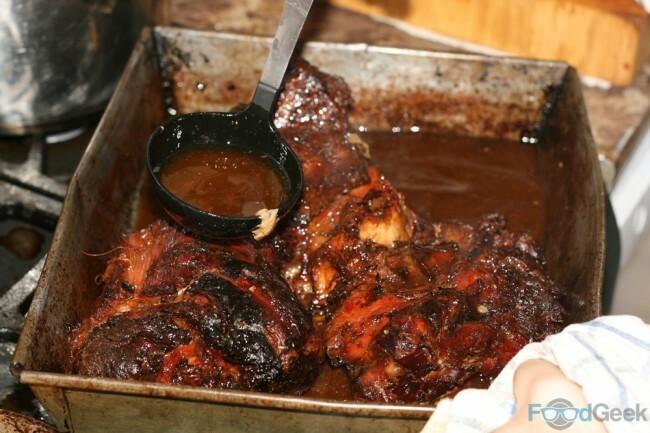 I had a sneak peak when I first, it looked and smelled incredible! 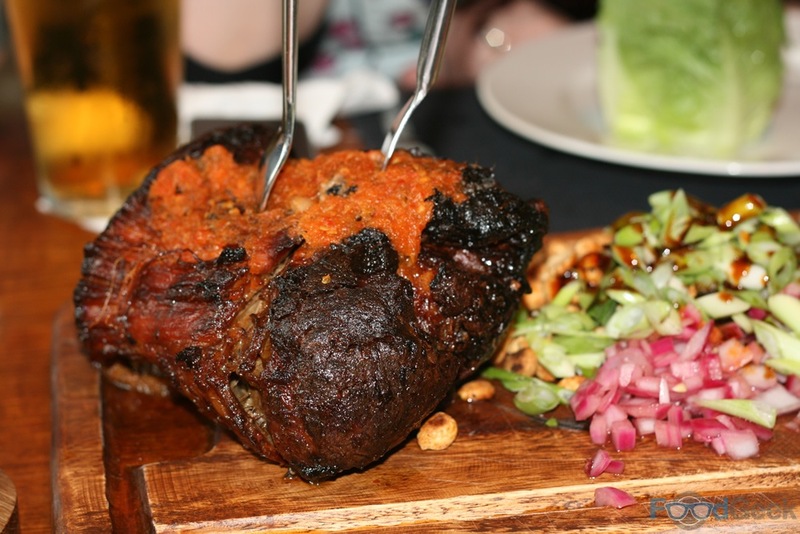 By the time it arrived at the table the meat itself was simply amazing; ridiculously tender and full of flavour. 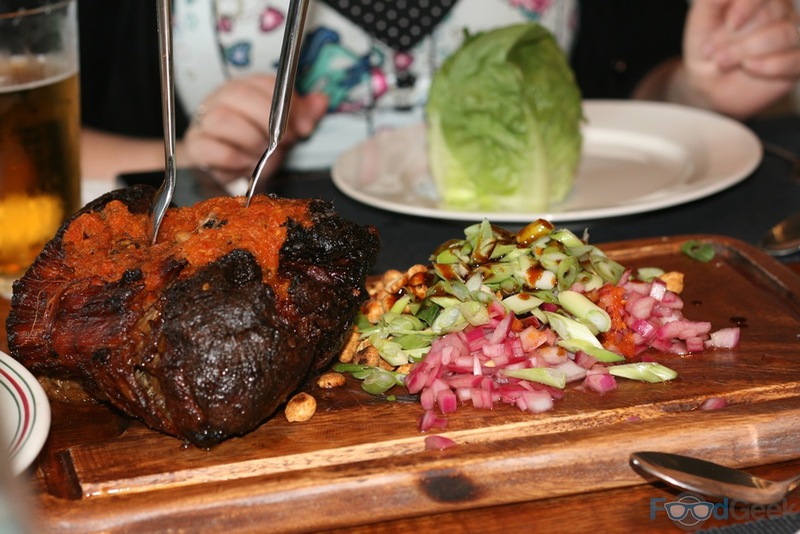 Served on wooden boards with pickled red onion, spring onions and a whole sweetheart lettuce each to use as wraps. 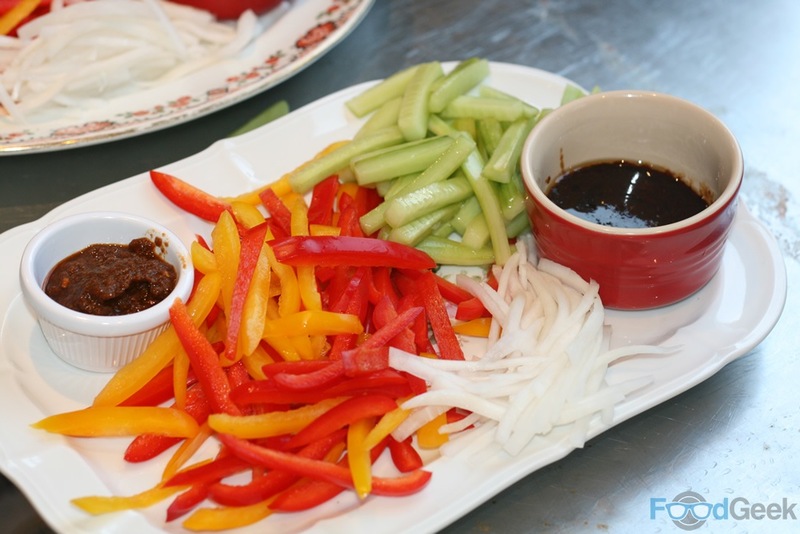 Other accompaniments included; sweet & sour cucumber tossed with yuzu, sliced peppers and daikon (white radish) and two well-made chilli sauces. One containing chilli, ginger, lemongrass and honey was extremely tasty, while the other, a blend of several chillies including naga was even hot enough for me! Wrapping the meat and various accompaniments in a lettuce leave before drowning it in sauce and shoving it in my mouth was a joy. Usually at Iain’s events there are plenty of leftovers but this was so good we didn’t leave a single morsel, much to the disappointment of his kitchen helpers. 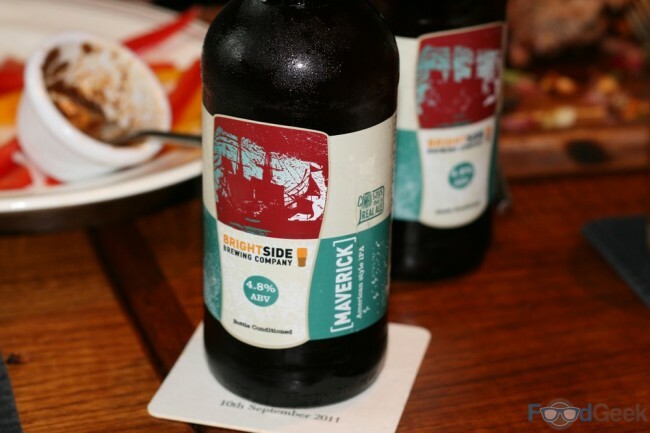 The main course was paired with ‘Maverick’, an American style IPA from Brightside, just down the road in Radcliffe. Although I prefer their ‘Amarillo’ this is a good middle of the road IPA and another well judged paring, the fruity notes complemented the dish well while the hops intensified the spices. 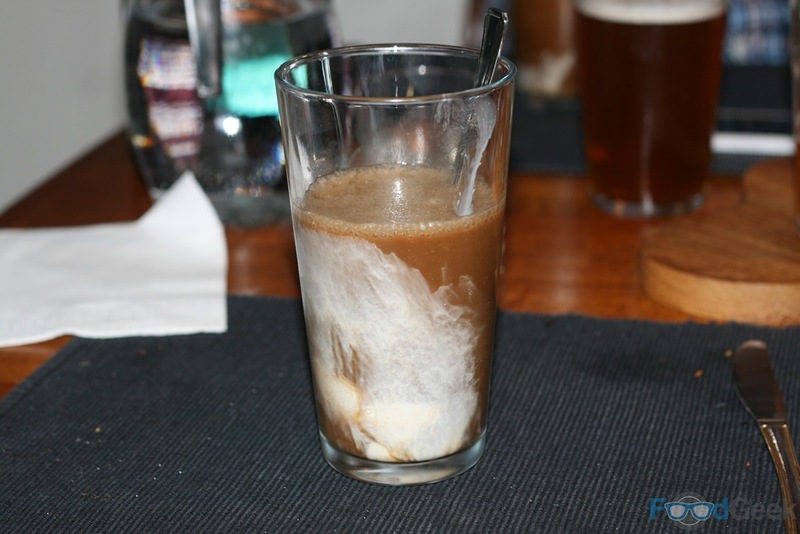 The fifth and final beer was also part of dessert; the intriguingly named ‘Depth Charge Float’ was a glass of Stringers Stout with a homemade vanilla ice cream float and a generous amount of 10 year Aberlour whiskey! Not the prettiest of desserts but it certainly delivered on flavour. The chocolatey, slightly smokey stout was an ideal companion for the whiskey and the vanilla ice cream brought was a nice cold, creamy contrast and a welcome relief from the alcohol. As ever the event not only lived up to my expectations but far exceeded them. The standard of food was just phenomenal, easily restaurant quality. It was several weeks ago now but I’ve not stopped thinking about that Bo Ssam. The beer pairing was a nice touch and I enjoyed the selections. All in all it was another hugely successful visit to one of my favourite places to eat (and drink).